While we love mulch and shrubbery as much as the next person, sometimes your yard is just asking for a little character. These landscaping ideas break the mold on conventional gardening, so you can make your outdoor space functional and fun! Flowers shouldn’t get to have all the fun. Grab some metal or plastic containers from your local gardening store, and dress them up with a fresh coat of brightly colored paint that will draw your eye and stand out against the green plants. 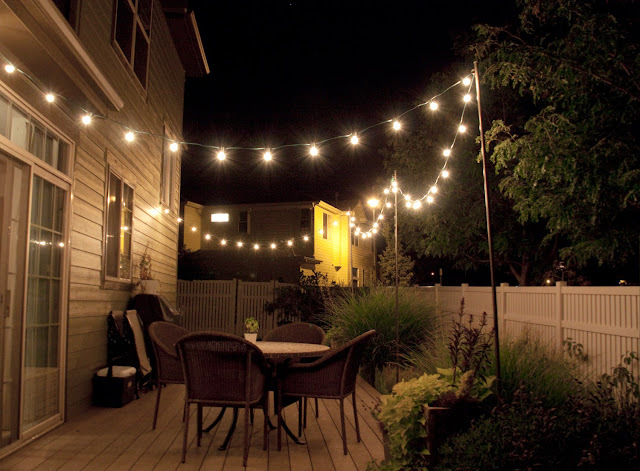 What good is a beautiful yard if you’re not spending any time there? Create a space outside where you can share meals with the family, or plop down with a good book on a sunny weekend afternoon. Dress it up with colorful cushions and an outdoor rug. If you have a penchant for parties, this one is perfect for your summer entertaining. 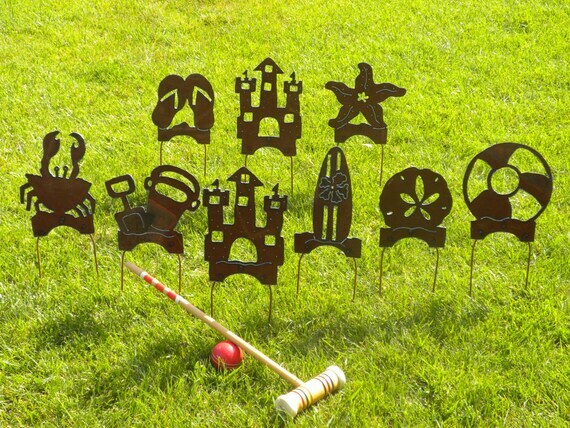 Lawn games aren’t like tray tables on an airplane – there’s no need to keep them stowed away. This custom croquet set has a rustic flair that you can show off all year round. 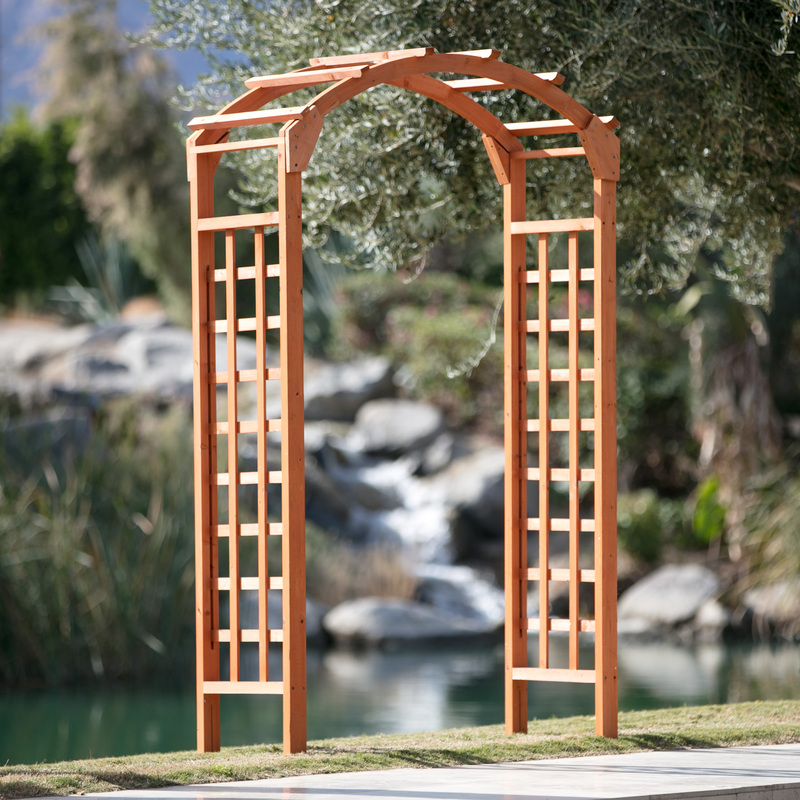 Who says trellises like these are just for outdoor weddings? Use this one from Hayneedle.com if your yard needs a focal point. If you plant a climbing vine like clematis or wisteria at the base, it won’t take long before you have a beautiful, leaf-covered archway. Do you love to cook? Garden herbs like cilantro, parsley and dill are packed full of health benefits and flavor. Growing them yourself in a brightly colored pot can color your garden AND save you money at the supermarket. We realize not everyone has old claw foot tubs just lying around. But just in case you do, and you’re not sure what to do with it – fill it with mulch and grow some plants! Is it a garden planter, or is it a storage container? It’s both! This hose holder is the perfect project for your next ambitious DIY day. 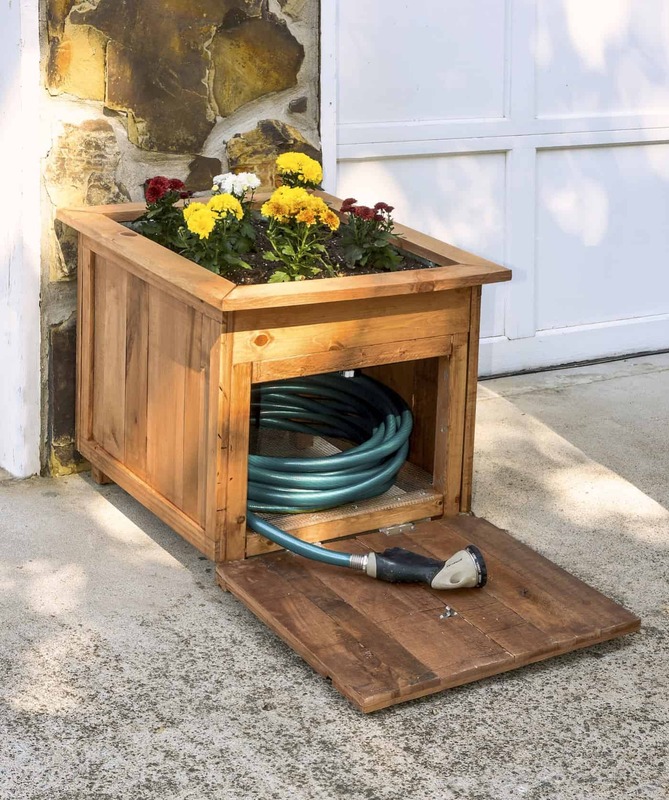 All it takes is some pallet wood and a few woodworking tools, and you can hide the tripping hazards in your yard beneath a bunch of bright marigold blooms. 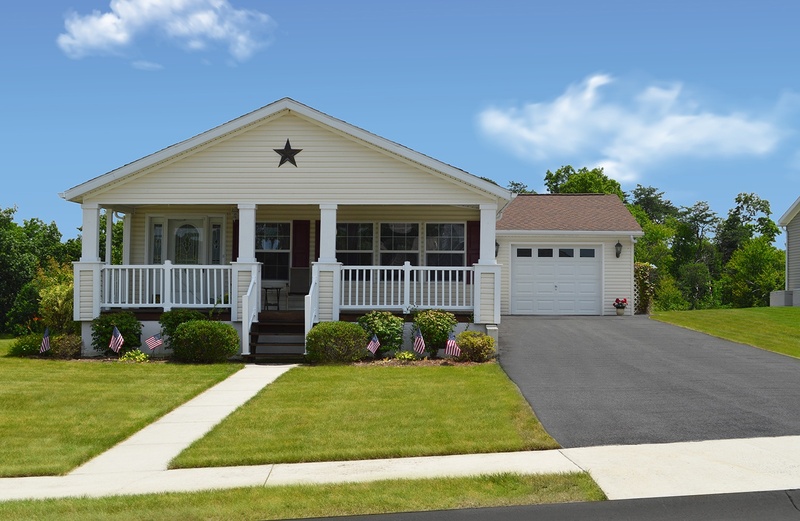 Use your landscaping to show off your love for the USA. These mini flags interspersed throughout the shrubs around the front porch are an affordable, tasteful way to boast your patriotic pride. Are you suffering from too much foliage? Break up the greenery with a dry creek bed. The glass baubles that line the rocky trough give it an artsy feel, but this waterless stream is fully functional, too. The rocks will soak up the run-off from your garden, so take note if you live in a rainier climate.